Assistant Secretary of State Roberta Jacobson will visit Havana on January 21 and 22 to discuss normalization. Roberta Jacobson, the United States’ Assistant Secretary of State, will travel to Havana, Cuba on January 21-22 for talks on migration and normalization, the State Department said on Thursday, according to Reuters. Jacobson’s trip comes as part of the Obama administration’s rapprochement with Cuba that began last month after more than 50 years of a U.S. embargo on the communist nation. The move to normalize ties with Cuba came after Havana released Jewish-American contractor Alan Gross in exchange for three Cubans held in the United States for spying. 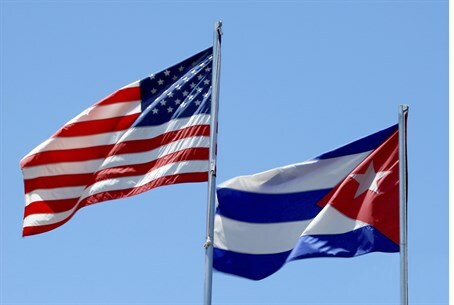 The move has been met with opposition from Republicans, such as Senate Republican leader Mitch McConnell, who said last month he opposed Obama's plans to normalize relations with Cuba. McConnell said there were some "pretty obvious" ways to keep the policy from being fully implemented. Only Congress has the power to remove some barriers to relations with Cuba since "a number of sanctions" were written into law, he said. He said any U.S. ambassador to Cuba would require Senate approval. "Look at Vietnam," McConnell told Reuters. "We normalized relations with them and they are a Communist regime that still represses people. Sometimes engagement works, sometimes it doesn't."